Take Us Back to The Makerie, Please! 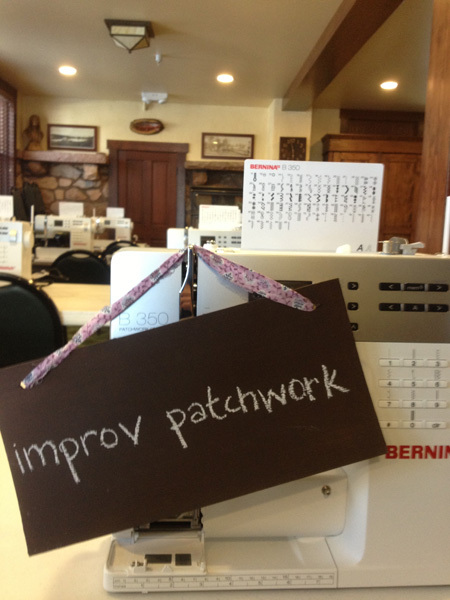 A couple weekends ago, the BERNINA team was thrilled to spend a beautiful Friday and Saturday at Chautauqua Park in Boulder, CO for The Makerie retreat – three days filled with sewing, quilting, relaxing, and yes, more sewing. 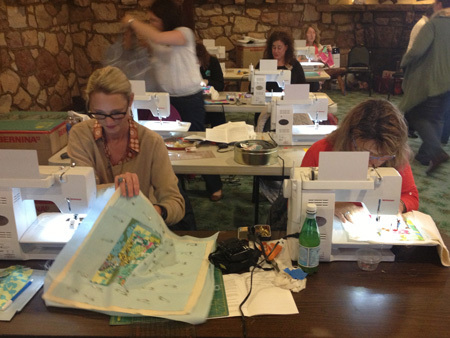 Almost 20 BERNINA 350 PE’s stitched away for two days straight, joined by women from all over the world! (15 states and four countries, to be exact.) 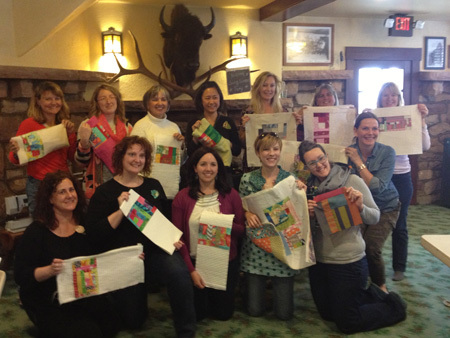 Attendees of the event participated in four classes over the weekend ranging from a Natural Plant Dyeing class taught by Kaari Meng of French General to a Color Story Class with Amy Butler as well as two classes that used BERNINA machines – Soft Sculpture by Tamar Mogendorff, and Improv Patchwork by Heather Jones of Oliver and Ollie. When we weren’t sewing, we were hiking, doing morning yoga, and having indoor picnics (since there was a spring snowstorm just a few days before). The grounds at Chautauqua were just beautiful and it was so nice to take advantage of them. 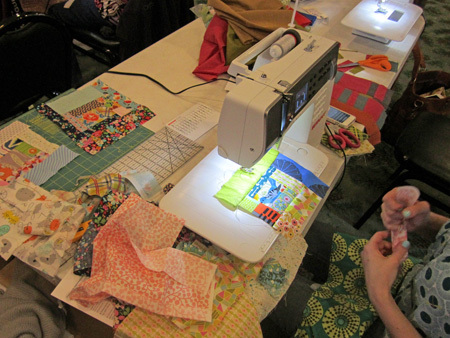 While there was so much to love about the Makerie, the greatest part was seeing all these creative women take instruction and twist it, add their own mark to a pattern, and stray from the directions a bit. They really pushed their projects to be reflective of who they were! 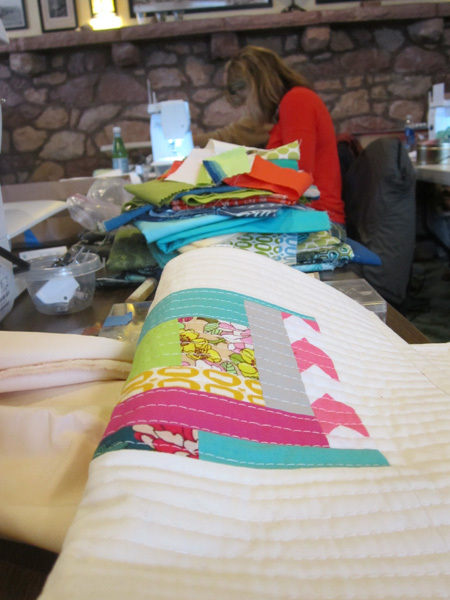 In Heather’s Improv Quilting class, she emphasized that the whole point of improve quilting is to avoid accurate cutting and stay away from a traditional quilt block. 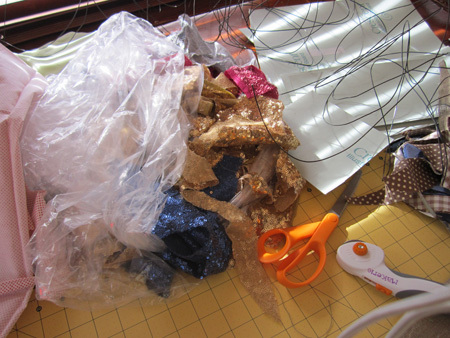 It was great to see the sewists personalities reflected in everything from their fabrics to their approach to piecing and finishing. 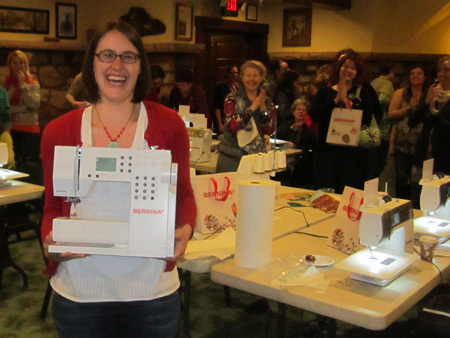 At the close of the weekend, BERNINA hosted a Sewing Slumber Party where we gave away goodies, books, and even a brand new BERNINA 215! 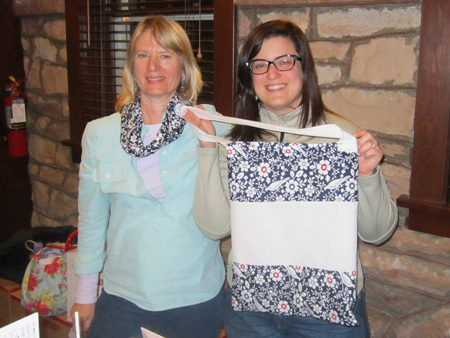 Throughout the night, we sewed shoe bags for travel and watched some daring (and creative, of course) women deviate from the instructions and make the shoe bags their way – into scarves and backpacks! 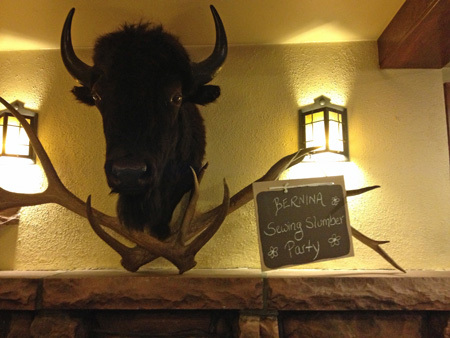 We loved it! It was an incredible weekend filled with creativity and inspiration. 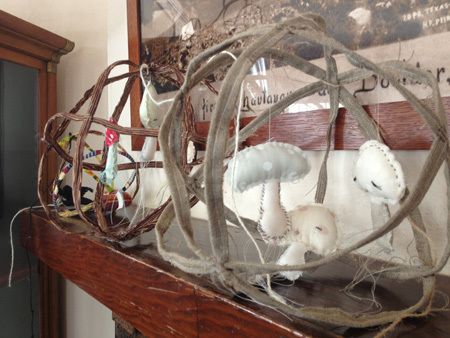 No worries if you’re feeling a little left out – The Makerie now has a Summer Series – three single-day mini-Makeries. Perfect for locals!